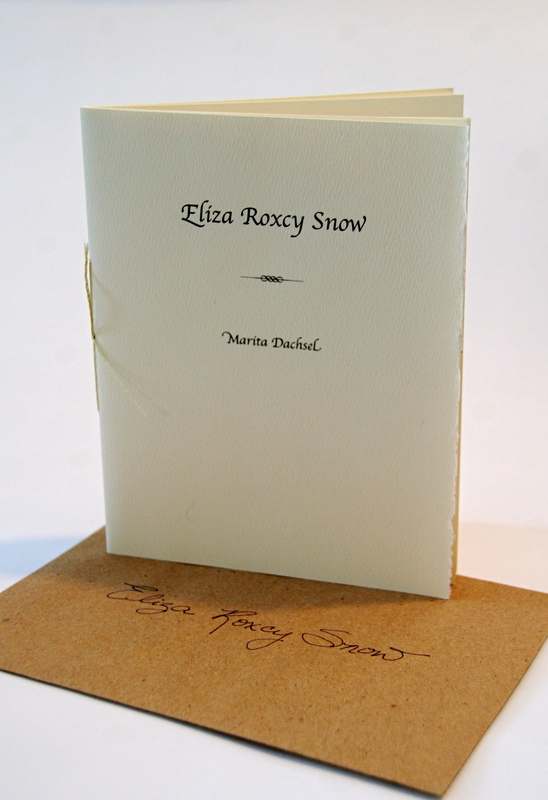 Printed in a limited edition of 100, Eliza Roxcy Snow is a long poem from Marita Dachsel’s work based on the polygamous wives of Joseph Smith. Created as a letter, to you, the reader, the poem is hand-bound using plant-dyed cotton thread, and encased in recycled ‘Greengrocer’s’ paper envelope. Marita Dachsel has a BFA and an MFA in Creative Writing from UBC. Her first full-length book of poetry, All Things Said & Done (Caitlin Press, 2007), was shortlisted for the ReLit Award.